Bosch Introduces An All-electric e-Kart. 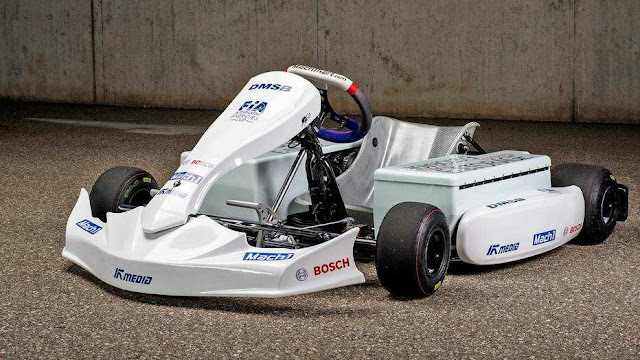 "Bosch creates an electric go-kart, a new face for motorsports"
The german multinational engineering and electronics company, has created an electric e-kart that is capable of doing 0-to-60 mph in under five seconds and a top speed of 80 mph. E-karts have been known to be gasoline-powered, which is the industry standard for kart racing but with the introduction of the e-kart the standard is about to be raised. - High-tech EV drivetrain onboard. 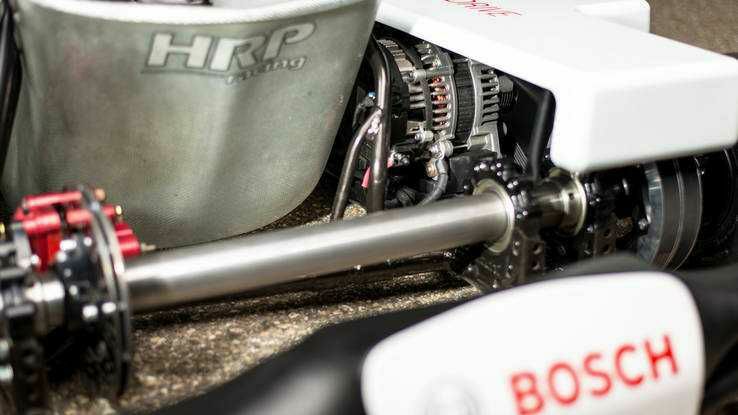 - Bosch's new BRS boost recuperation system, which is placed underneath its plastic body panels. 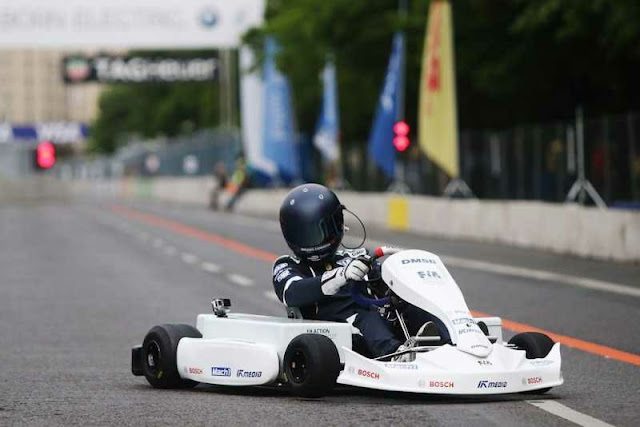 The BRS system is made up of two electric motors and a 48-volt lithium-ion battery that drive the e-kart's rear wheels. It supplies up to 221 pound-feet of torque and the electric motors also generates electricity that can be later used for acceleration. This is a good development for the beginners. What do you think? Let us know in the comment section below. Why the Toyota Camry is for senior citizens? Motorsports, A Potential Industry In Nigeria.